Is there an Aboriginal religion? Aboriginal People do have a religion, but it is different from most other religions which mean believing in one single creator. Australian Aboriginal people don’t do that. They have their beliefs, very strong beliefs, but it’s more like spirituality than a religion. As opposed to believing in a single creator, Australian Aboriginal people believe that in the beginning of the time, there were creation beings that rose out of the ground and created landscape features, and, much in the similar way as Christians believe that God created the world in six days. Aboriginal people refer to that period of creation as Dreamtime. The time after that period, which still goes on today, is called Dreaming. As opposed to Christians and believers of many other religions who go to a church or a mosque to pray, Aboriginal People express their beliefs in spiritual rituals. In the old days when they all lived traditional life, they went to their sacred mountain or any other natural feature that was believed to be their creator (different tribes had different objects), and they performed spiritual ceremonies. On those ceremonies they danced, sang, and they with symbols that had messages. Because they believed that their creator, the mountain like for example had a soul, they could communicate to their creators. Before they went walking across long distances for example, they’d communicate to the creator of the land and ask the creator to protect them from accidents. There were also many other kinds of ceremonies. Some of the most important ceremonies were family ceremonies, like when children entered the adulthood and burial ceremonies when people deceased. Others were seasonal, to 'ensure' there was enough plant and animal food resources available for the coming season. Some of the ceremonies were large, people from different tribes got together and travelled long distances. Those large ceremonies were usually put on during the times of food abundance, like for example when the Bogong moths were abundant in Alps and southern . Many Aboriginal People have also changed their beliefs since the European invasion. Early missionaries forced them to learn the Bible, so there are some Aboriginal People who are Christians. There are even some Muslims, even though they are much fewer than Christians. 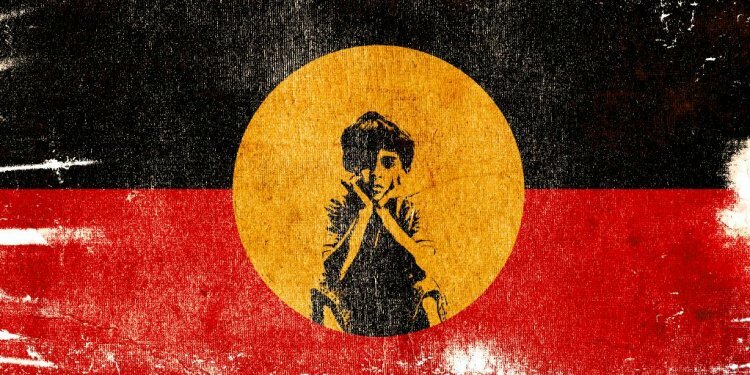 But most Aboriginal People haven't given up their original beliefs, they still believe in their own creation story, although probably in a new perspective.